Sehen Sie dieses webpage auf Deutsch an. Access this page directly at www.camphearne.info. How Can You Help? Are you interested in assisting with Robertson County's economic development efforts by helping Camp Hearne become an important tourist destination? If so, please check out Business Opportunities. Camp Hearne Roll Call: Friends Of Camp Hearne has been established to preserve and commemorate historic Camp Hearne. Most recent activities are detailed in U.S. Internal Revenue Service 501(c)(3) tax determination letter, Paper (identifying purpose, significance, mission goals, & constraints), By-Laws, Articles Of Incorporation, 9.2002 Meeting, 10.2002 Meeting, 11.2002 Meeting, 12.2002 Meeting, & 1.2003 Meeting. Information relating to upcoming plans for the Camp, media outreaches to focus public attention upon the Camp, collection of artifacts from the camp, identification of former POWs who were interned and American civilians who worked at the camp, oral histories being obtained, grant and funding proposals to raise money to preserve the camp, opportunities for individuals and businesses to make voluntary contributions towards Camp Hearne preservation efforts, etc. will be posted here in the future. These newsletters contain the latest information on Camp Hearne and Roll Call: Friends Of Camp Hearne as well as a Why Contribute Now? letter on individual and business voluntary contributions to Roll Call. Coverage 1999 Texas A&M news story on professors engaged in German prisoner of war research in Texas. 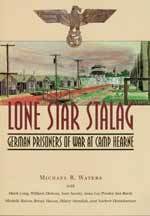 Articles on Camp Hearne have included: (1) National Geographic Magazine printed an article "Echoes Of World War II In Texas" for the April 1999 issue; (2) Discovering Archaeology featured Camp Hearne in the magazine's premier issue (date unknown); (3) Spring 2002 Texas Monthly article. Two television documentaries on Camp Hearne were scheduled to air in 2000 on CBS & ABC affiliate stations throughout Texas. An hour-long History Channel feature on U.S. prisoner of war camps aired in late January 2002. Although Dr. Waters highlighted his Robertson County research and pictures/artifacts of the local camp prominently appeared on this television program, Camp Hearne was not identified by name. If you have copies of these articles or tapes of these TV programs, contact William Kent Brunette. Another Camp Hearne article is located at http://www.archaeology.org/9705/newsbriefs/camphearne.html. Newspapers The Hearne Democrat from 1942 - 1946 is being scanned and will soon appear here in a searchable format. Articles from the Dallas Morning News and the Waco Tribune Herald about Camp Hearne are online. Streaming video of a recent PBS History Detectives episode on Camp Hearne is also online. Personal Recollections Erika Biga Lee contributes information about her grandmother's experiences during the Camp Hearne period at So Far From Home. 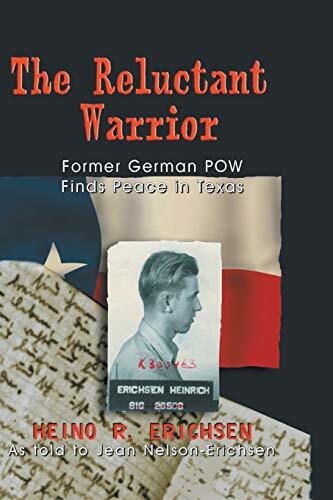 The Story Of The World War II German Prisoner Of War Camp Of Hearne, Texas By Texas A&M University Anthropology Professor Dr. Michael Waters. 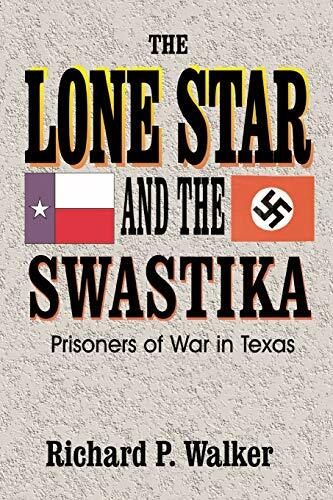 This book was released in August 2004 by the Texas A&M University Press. Copies are available at Wilson Drug Company, 118 West Fourth, Hearne, TX 77859. Price is $29.95 + tax. Each purchase includes a $10 donation to the Camp Hearne project. Contact clazhome@msn.com for additional information. Do you know of any other movies relating to World War II POW camps in America? If so, please contact William Kent Brunette.